Welcome to this week’s linky. Apologies if you missed it last week, I just didn’t manage to get it live. This one is going to run for a fortnight as we’re on holiday next week, so plenty of time to link up your favourite home and interiors posts. Last time’s Top Picks are just lovely, and so varied. 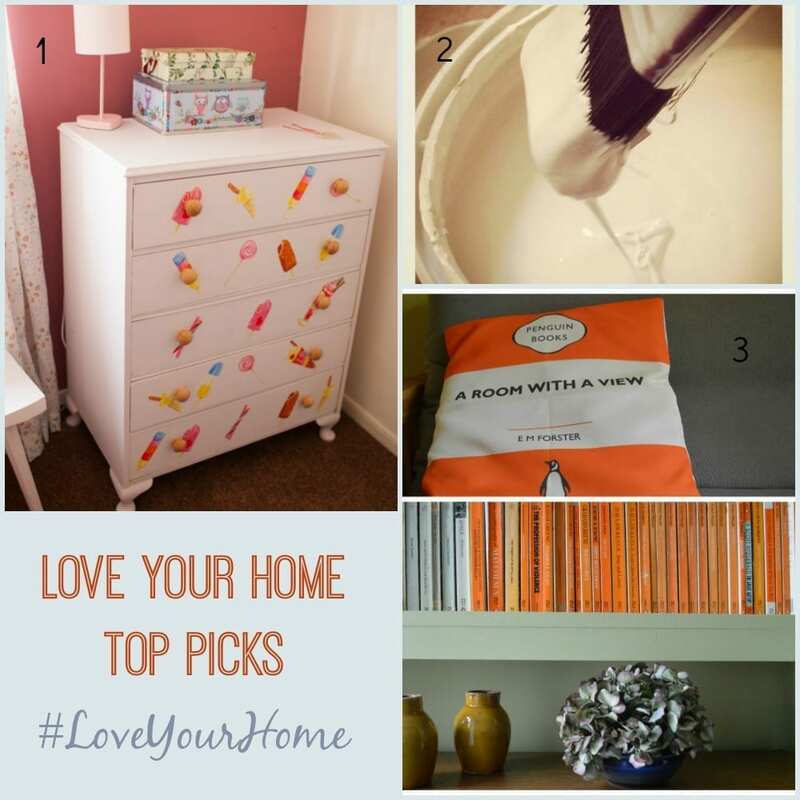 From a lovely chest makeover, to tongue in cheek tips on DIY, to a stylish room tour. Do take a look at the posts if you get chance. 1. Circus Queen takes us through her chest of drawers makeover. 3. Hello it’s Gemma shows us her very stylish room. Hi Jen – Did you see that this blog (lovechickliving) won my February blog of the month post? I’ve commented on a few, and linked up…can you believe I remebered Jen! I have been slacking on my home decor posts but I am back and loving that your still doing your linky. I will be joining in now. Sorry for the absence I have missed writing about home decor. I only wish I had a whole new house to redecorate so I could continue to share my love for all things interior. lol Hope all is well. Thanks for hosting my lovely.